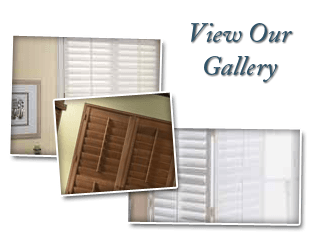 If you're looking for attractive window blinds made from a durable and high quality material, our faux wood blinds in Riverside, CA can be an excellent option. Faux wood blinds have all of the great appearance, texture, and feeling of wood, but they'll be able to withstand much more wear and tear and can be kept in a variety of different environments without suffering any damage. The faux wood blinds that our Riverside blinds and experts at Anytime Blinds and Shutters offer are the perfect alternative to wood blinds. They have the same aesthetic appeal of wood blinds, but they're also much more durable. Our faux wood blinds are available in a wide variety of styles and designs. We'll provide a free in-home consultation to help you find the perfect faux wood blinds for your Riverside home and interior design style. After you've made your decision, we'll also provide you with a professional installation to ensure optimal performance. Faux wood blinds are made from a scratch resistant material. They’re also incredibly easy to clean and maintain. Faux wood blinds can be custom designed to match your home’s interior décor, architecture, or style. They’ll also be a perfect fit for your Riverside home's windows. Faux wood blinds are usually around 10-20% less expensive than real wood blinds. For a lower price, you’ll get more durability and the same aesthetic appeal. 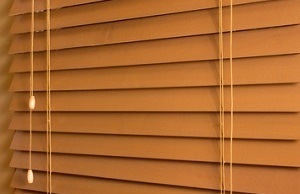 Faux wood blinds are resistant to damage by moisture, heat, or sunlight, making them a great option over wood blinds. Faux wood blinds are environmentally friendly. They’re 100% recyclable, and they may be made of completely recycled materials. And unlike wood blinds, they will not contribute to deforestation. 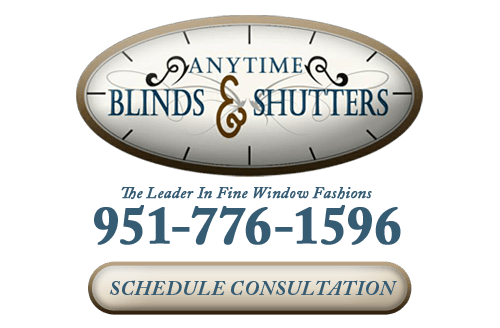 While our faux wood blinds are a reasonably priced alternative to real wood blinds, their quality is on par with the best window coverings in Riverside on the market. Faux wood blinds are built to last, which makes then a great choice for children's rooms, bathrooms, kitchens, or any other room in your Riverside home where wood may suffer damages fairly easily. Our faux wood blinds are built with panels that that reinforced with aluminum inside the casing, making them durable, long-lasting, and light-weight. Our Riverside window blinds company will do whatever it takes to make sure that you're completely satisfied with your new faux wood blinds. If you are interested in an estimate for faux wood blinds in Riverside, CA or the surrounding areas, please call 951-776-1596 or complete our online request form.